Aya Noguchi's new Being of the Sun clothing line! 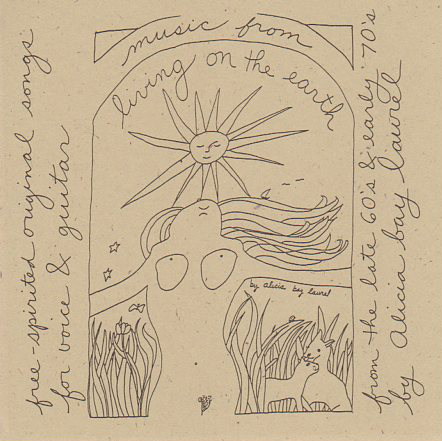 Posted on December 30, 2007 by Alicia Bay Laurel	in Blog. Aya Noguchi, the Tokyo fashion designer whose company, Balcony and Bed, brought out the Living on the Earth clothing line last September, is releasing a new line in April with featuring illustrations from Being of the Sun! 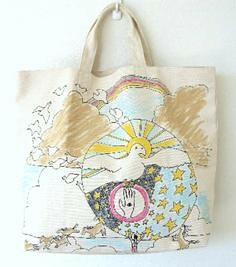 Above, a tote bag emblazoned with the “vision quest” illustration, with colors added by Ms. Noguchi. $145 plus $10 S&H (USA), or $20 S&H (outside USA). Please order by January 31, 2008, since Balcony and Bed manufactures in small quantities and prefers having exact advance orders. Please email me from this site with your order. You can pay me via Paypal or send me a postal money order. 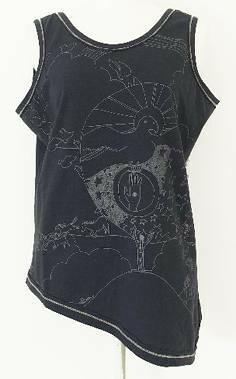 Here’s the “vision quest” illustration in white on black, as an organic cotton tank t-shirt with a slanting hem. $85 plus $10 S&H (USA), or $20 S&H (outside USA). 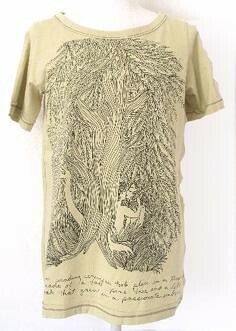 Here’s the “wedding under a tree” illustration printed in brown on a cream colored scoop-neck short-sleeved organic cotton t-shirt. $85 plus $10 S&H (USA), or $20 S&H (outside USA). 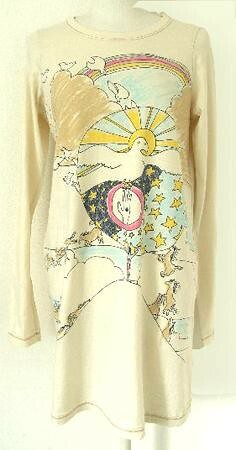 Here’s another version of the “vision quest” organic cotton t-shirt, longsleeved, and long enough to wear as a mini-dress, with colored illustration on a cream-colored background. $145 plus $10 S&H (USA), or $20 S&H (outside USA).